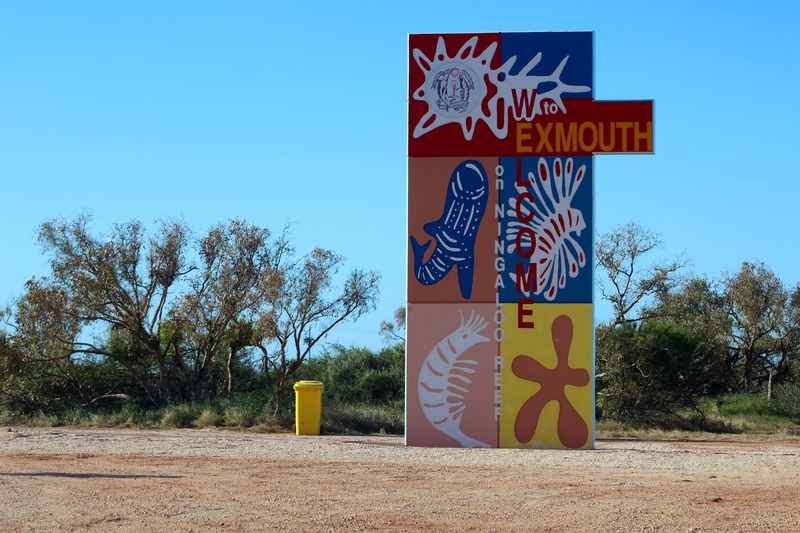 From Coral Bay we continued north to Exmouth. We made it! Turtles are born here. 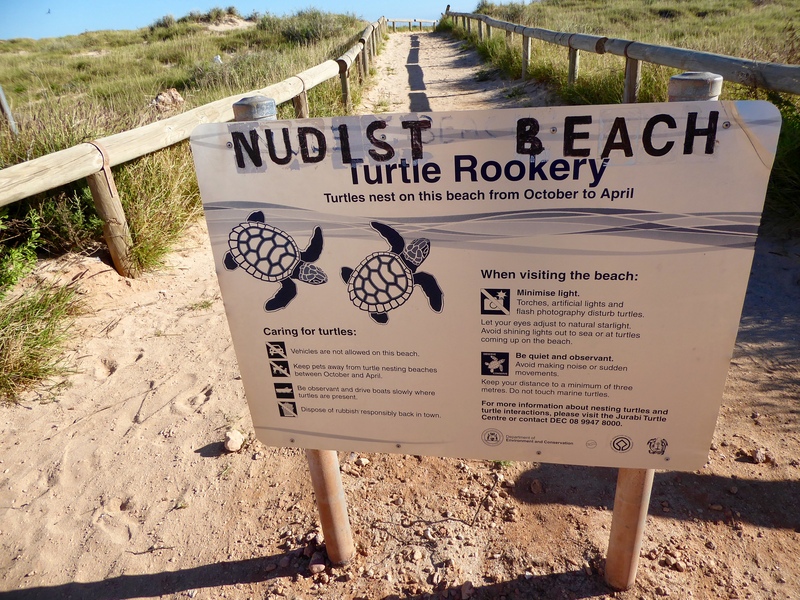 However it was not turtle season when we were there, but this is the path to one of the nesting beaches. Further along the beach we liked this turtle sculpture. The small town was very nice and the people friendly. 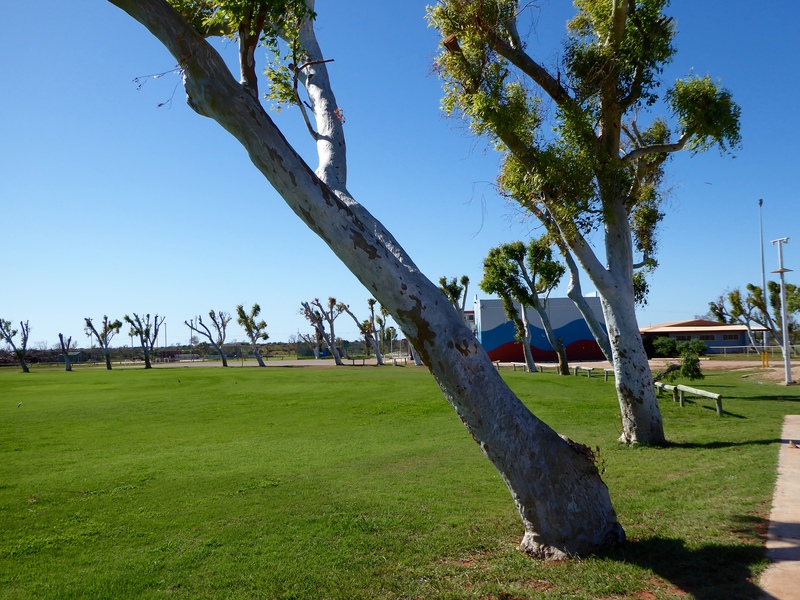 This is the Koobooroo Oval, and sports field. We liked the trees planted around the oval. 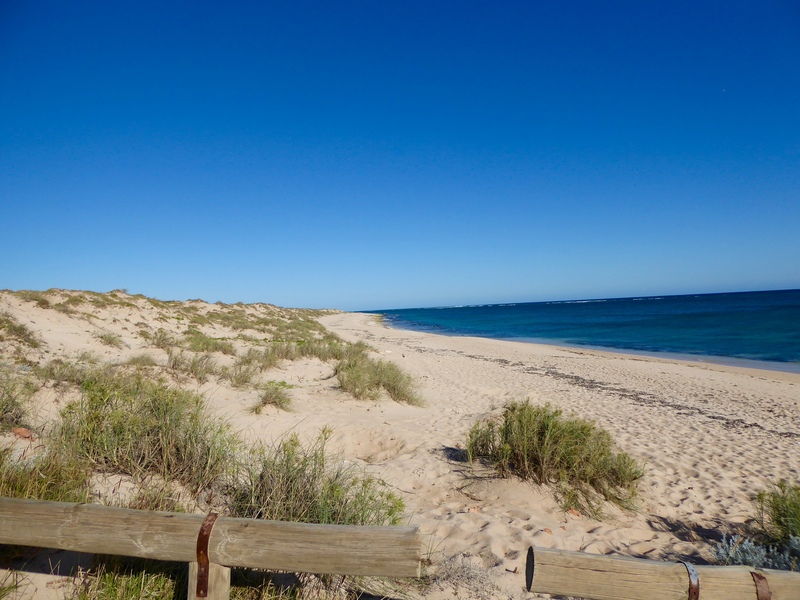 In Coral Bay we showed you the beaches, so today we will show you the Vlaming Head Lighthouse. 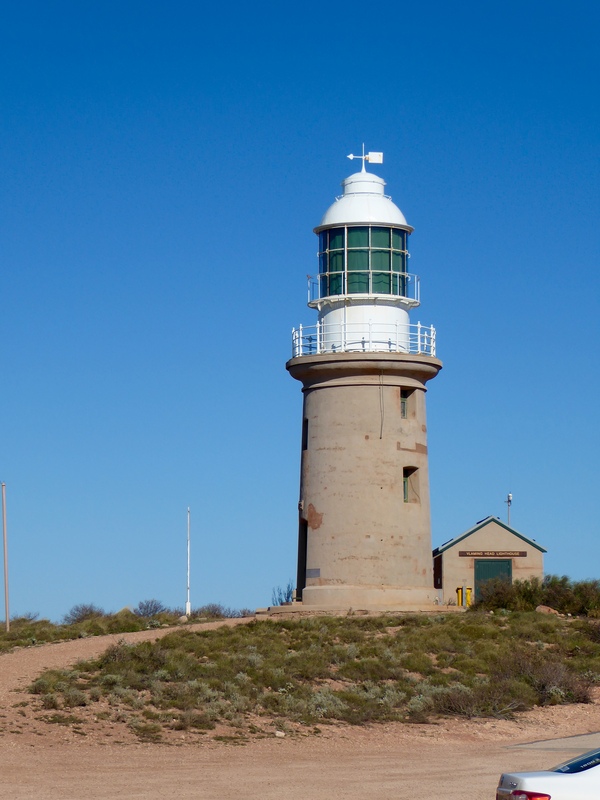 This lighthouse is 17 km from the town of Exmouth. Since it is built on the northern most tip of Cape Range, it is one of the few places in Australia where you can watch the sun rise and also set. Building the lighthouse had been under consideration for few years, but in 1907 when the SS Mildura sank here and many good men were lost, the lighthouse building date was accelerated. The lighthouse was completed in 1912 and was a welcome addition to this coast. 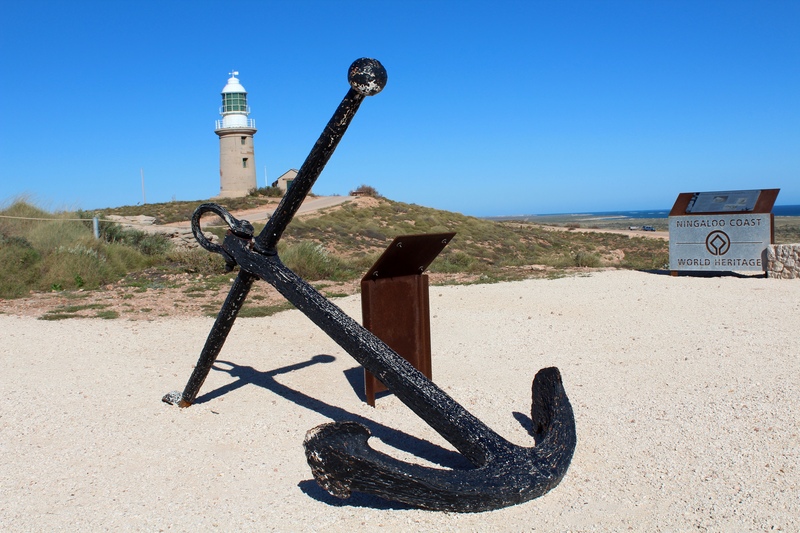 This is the anchor from the SS Mildura. The view from the lighthouse is wonderful. 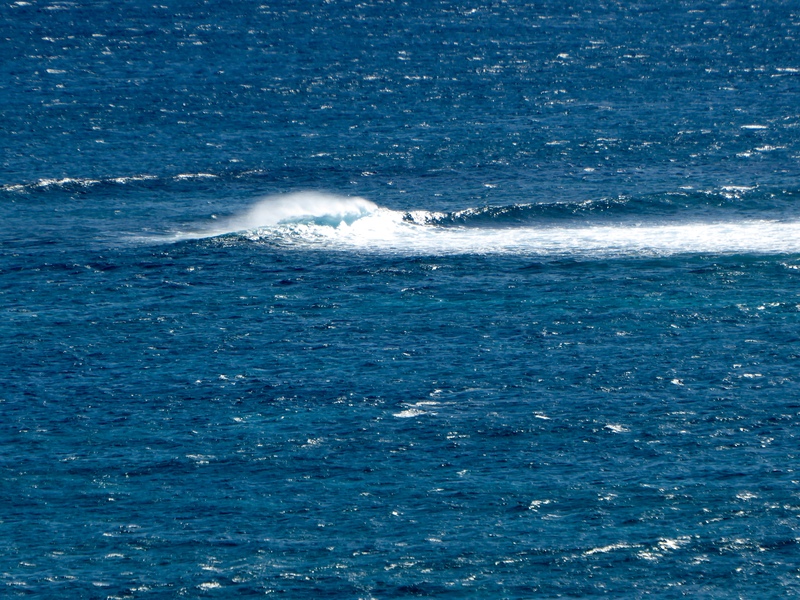 Many people report seeing the migrating whale shark from here. The ocean current here made an unusual pattern on the Indian Ocean. From the lighthouse 13 tall towers are visible. 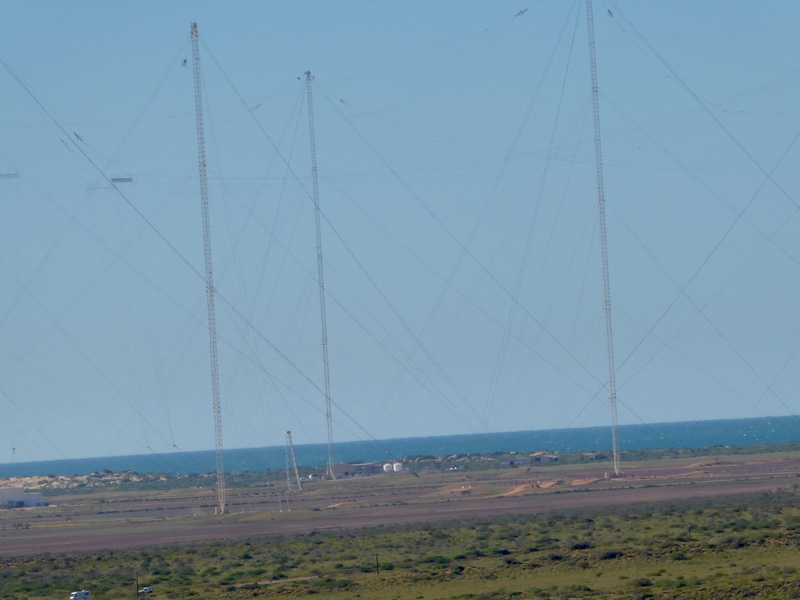 During the 1960s the US Navy was granted permission from Australia to build these towers to aid in the US communication network. During our visit to Australia, we learned about many joint military efforts between the United States and Australia. We will show you more of these sites soon. Leaving the Vlaming Head Lighthouse, we saw this friendly emu. 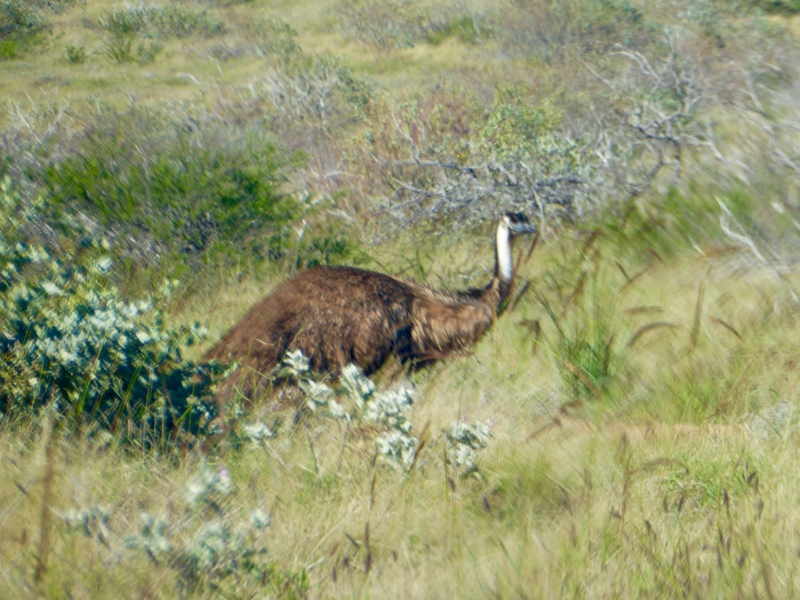 Emus are very common in and around Exmouth. We are still enjoying our road trip up the western coast of Australia. We hope you enjoy some of our explanations and photos also. 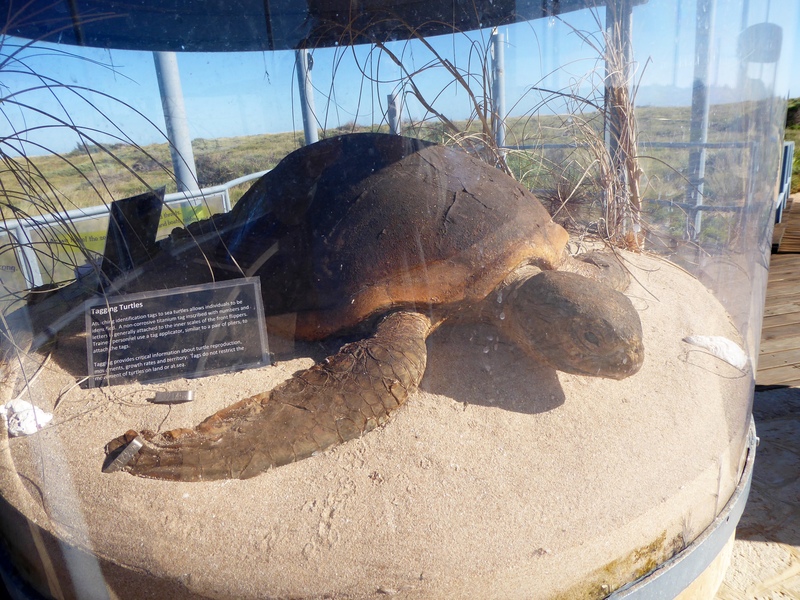 This entry was posted in Australia, Uncategorized, Western Australia and tagged Colorado Traveling Ducks, emu, Exmouth, Koobooroo Oval, Ningaloo Coast, SS Mildura, turtles, US Navy towers, Vlamingh Head Lighthouse, Western Australia. Bookmark the permalink. Ooo My hubby’s starting work in Exmouth soon and your photos have now convinced me to head there soon too! I believe you will love it! Incredible reef, migrating whales, all beautiful! I envy you.